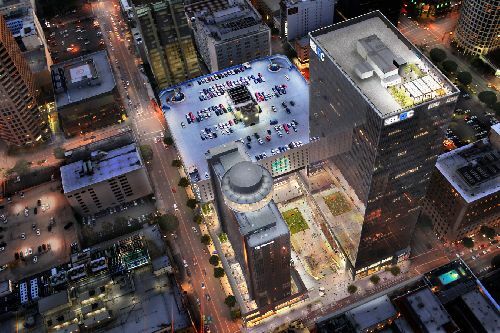 Seattle-based KPFF signed a 10-year lease for 24k sf of office space at The Bloc in downtown Los Angeles. Founded in 1960, KPFF is a multi-discipline engineering firm with offices throughout the United States. KPFF’s Civil Engineering group has been occupying 24k sf at The Bloc since 2016. KPFF’s new space will be located on the 20th floor just below that group for better collaboration. The new space will be available once it is built out in approximately 12 months. Until then, temporary office space at The Bloc will be utilized. All told, approximately 250 employees will now be located at The Bloc in 48k sf of space. Located at 700 S. Flower St, The Bloc contains 720k sf over 33 floors. It is owned by The Ratkovich Company. NKF Senior Managing Director Craig Kish represented the KPFF in the transaction. The lease value was not disclosed. “KPFF engaged NKF in 2017 with the goal of consolidating its West Los Angeles and Pasadena offices–which totaled just over 30k sf–and relocating to downtown Los Angeles. We successfully subleased its West LA offices and are in the process of subleasing its Pasadena space,” said Kish.